"Life might have its failures, but this was not it. The only true failure can come if you quit." 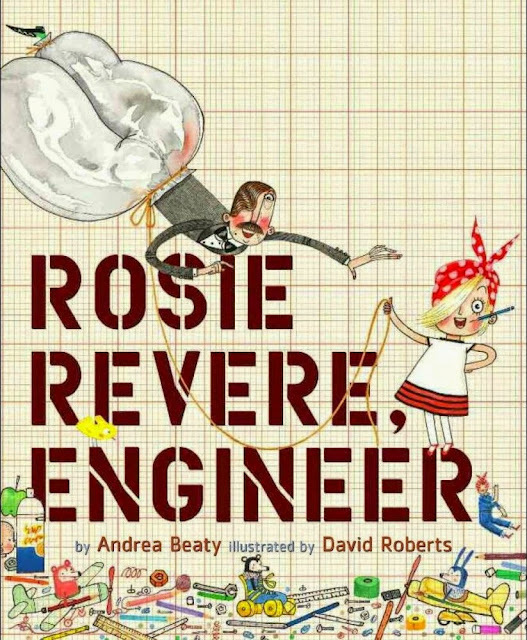 Beaty's picture book for young readers tells the story of young Rosie Revere, a descendent of Rosie the Riveter, who dreams of being a great engineer. Young Rosie loves taking things apart to see how they work, using her imagination, and creating new gadgets and gizmos. After Rosie faces early discouragement, she learns that there is no shame in dreaming big when her great-great-aunt, Rosie the Revere, shows up to encourage her ambition, her creativity, and her visions for the future. Young Rosie learns the only thing she ever need fear is giving up on her dreams. Roberts' watercolor, pen, and ink illustrations add vibrancy to the pages and the story sends a great, empowering message to young readers, both female and male.